I am a Lecturer in Political Theory at MANCEPT, University of Manchester. Before joining the University of Manchester, I was a Research Fellow at the Centre for Advanced Studies "Justitia Amplificata - Rethinking Justice", Goethe University Frankfurt am Main, and a Max Weber Postdoctoral Fellow at the European University Institute, Florence. I hold a DPhil and an MSc in Political Theory from the University of Oxford, and an MA in Philosophy and Law from the University of Freiburg. More information on my research can be found here; on my publications here; and on my CV here. 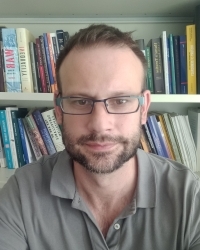 I am also a founding member, and currently Chair, of The Global Justice Network and a founding editor of Global Justice: Theory Practice Rhetoric.